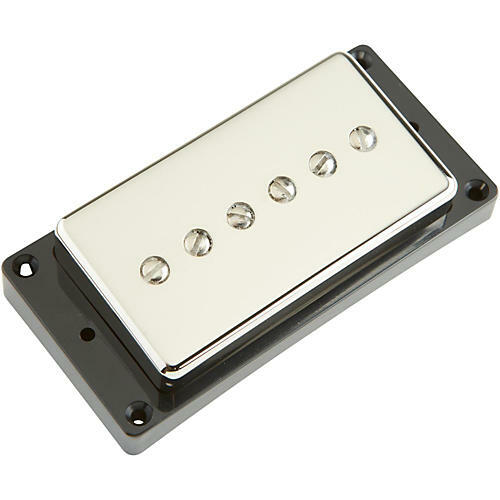 Originally developed in the Custom Shop for Hamer Guitars, the SPH90-1 Phat Cat is an actual single-coil P-90 Soapbar that fits under a humbucker cover and drops into humbucker-equipped guitars. The tone is big and fat, er, phat. It uses two Alnico 2 magnets for more sustain and softer attack. Also, the metal covers provide more shielding and noise reduction than standard soapbar covers. Comes with single-conductor hookup cable.